Crowdfunding is becoming an increasingly popular method to access financial capital. Rewards-based crowdfunding is appealing as a way to raise funds without giving up equity or increasing your debt. But there are other benefits too. Using your social network to gain support for your business goals and engaging your customers in the success of your enterprise can have a long-term impact on customer loyalty. However, launching a crowdfunding campaign requires planning and research before you begin. Here are six tips to help you ensure your project is a success. Right before your campaign launches is not the time to begin to engage with your community. Begin to create a conversation early, even before your business is formed. Talk to friends, family and organizations that share your passion. Become a subject matter expert about your business or industry. Create an online identity that draws people to you as someone interesting and engaging. This will help you to build a loyal following and create the foundations of a tight customer community. A business Facebook page is crucial. Depending on your audience it can also be helpful to have a Twitter, Pinterest, Instagram and a blog as well. 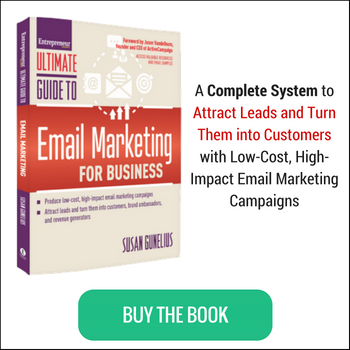 You should also be collecting and organizing the email contact lists for your customers and potential customers long before you begin crowdfunding. While having a conversation is critical, social media is not the place to write an epic novel. This communication medium is best used for short messages, so be clear and brief. If your product photographs well, then you should post images of your items. Behind-the-scenes images always elicit excitement too. It is still true that a picture speaks a thousand words. Once you have engaged your community, it’s time to give them your narrative. Let people know how important it is to have their support. Tell them what you are planning to do to grow your business and how their support will make a real difference for you. Be interesting and a little entertaining. Between posts with compelling requests for support, include funny pictures from your childhood or live-action video segments of you working on your business. In other words, make it real, make it current, and make it personal. 4. Give your supporters their money’s worth. People want to see you succeed, but they don’t just want to give away their money. They want to be rewarded for their support. Consider a variety of rewards that allow many different supporters to participate in your success. Some people may not be able to use or access your business products or services, so allow them to donate in exchange for a thank you or a shout out. If all of your rewards are currently available in your online store or at your place of business, supporters will not be compelled to act fast, so make sure to offer new items, exclusive products, or early availability. Creating limited edition items or one-of-a-kind experiences allows people to feel they are getting something truly unique. Also, create some scarcity by offering rewards that have limited supply. What about that big dollar contributor? Offer something extra special like an experience or a unique way to mark their support permanently in your business. Conduct a personal class, host a private party, or name a product after them. You have to get extra creative to entice supporters to pledge larger dollar amounts. Once the campaign has begun, keep your supporters continuously in the loop. Tell them how things are going and how to get the word out about your project. Make sure people understand that even if they can’t provide monetary support, passing the project along can be an enormous help. Forty to fifty percent of your pledges will come from your own social network and the remaining fifty to sixty percent will come from people in the extended network of your contacts. That means sharing, reposting, forwarding, and retweeting your campaign can multiply your existing network and therefore your dollars. 6. Don’t love them and leave them. After you have reached your goal, there may be a temptation to sit back and take a break from the stress and pace of the campaign. Don’t do it! Keep communicating. Thank your supporters and keep them updated on your progress. Keep the narrative alive and cement those relationships. There is little that is more satisfying than seeing your dreams become a reality. While it is hard work to run a successful crowdfunding campaign, the benefits you get in market validation and customer engagement go far beyond the fundraising result. Good luck! Brenda Bazan and Nancy Hayes are CoFounders of MoolaHoop a crowdfunding platform that helps women with small businesses reward their customers and themselves. Absolutely right on the money with this! Especially #4 and #6. As a Non-profit Development Consultant for over 15 years, I’ve had to add crowdsourcing and social media to my consulting business. I’ve taken several courses and been to several professional development trainings, only to find that crowdsourcing campaigns are no different than any other campaign. At the end of the day, if you want the crowdsourcing campaign to be successful it’s all about sharing a compelling story that will interest a donor. Clearly explain the value of how their donation will assist in helping a particular cause, and of course thank them properly, while also regularly staying in contact. That’s the way it’s always been if you want a successful campaign.